The whole month of October is an event for the On Q team. Desks around the office are dripping with fake cobwebs, spooky skeletons, cauldrons, and more. To get in the spirit, the team picked 13 of the spookiest and most iconic homes in Halloween movies and ranked them. Movies from Psycho to Hocus Pocus made our list, so read on to find out where some of your favorite haunts ranked…if you dare. 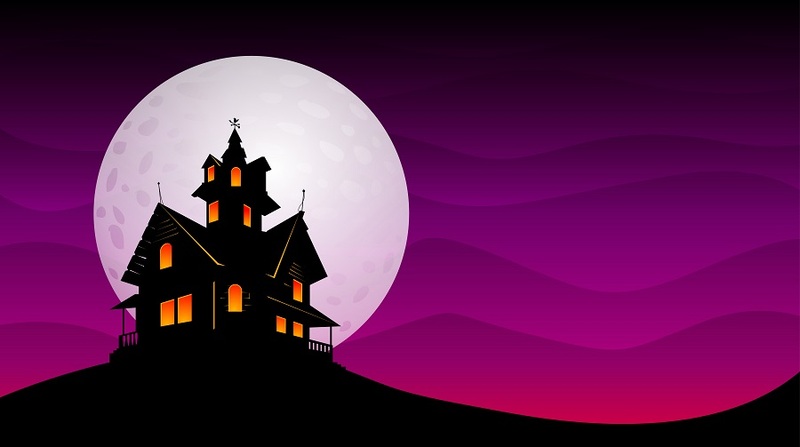 We begin with the least spooky and finish with houses that could creep most out on a stormy night. We know, it’s not technically a home, but it housed the classic psychological thriller, Rosemary’s Baby. If you haven’t seen the 1968 thriller, Rosemary and her husband live in the Dakota and she becomes pregnant under mysterious circumstances and becomes paranoid for her baby’s safety. 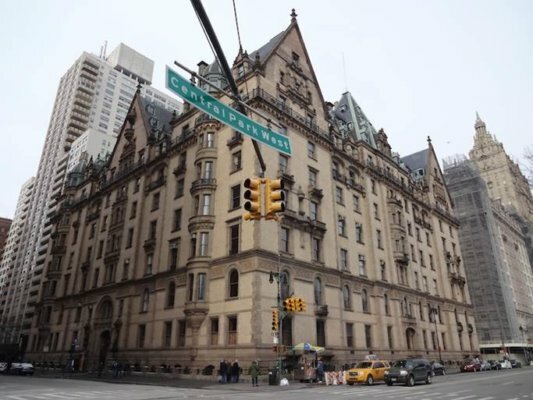 The Dakota is still standing on the Upper West Side in New York City. No mysterious pregnancies or cult activities have been reported. A 90’s staple, Hocus Pocus is a classic and has to be played at least five times in the month of October. The Sanderson Sisters are everyone’s favorite villains. They’ve beguiled audiences since 1993 and the movie has been a cult classic ever since. Definitely not the spookiest house on the list, but Max’s room was every 90’s kids dream room. The home featured in the 1982 horror movie Poltergeist is actually in a quiet suburb in Simi Valley, California. (Spoiler Alert!) Contrary to the movie, the home isn’t built on a Native American burial ground as the movie depicts, but it does get its fair share of fans of the cult classic. Timberline Lodge was used for the exterior of the Overlook Hotel in The Shining. However, the story is based on the Stanley Hotel in Colorado. Stephen King based the book around his experience at the Stanley Hotel. King and his wife were the only ones checked in and they stayed in room 217. King reported seeing children wandering the halls and witnessed a party in the ballroom with some transparent guests. The comedic ghost film, Beetlejuice, features a quirky home on top of a hill in Connecticut. After the owners die, the family from the city creates a more contemporary look for the home. 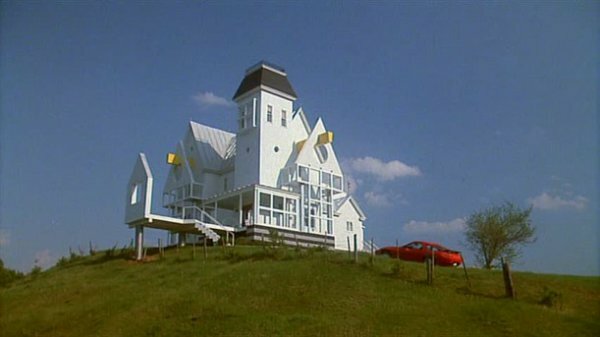 However, this house was just a shell created exclusively for the filming of Beetlejuice and was taken down after filming was completed. The home of the fictional serial killer, Buffalo Bill, in the Silence of the Lambs film is located in a small town south of Pittsburgh. 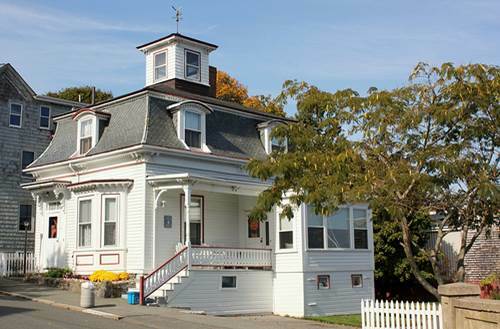 The four-bedroom home was built in 1910 and spent years on the market. It was purchased in 2016, but it didn’t come with any baskets or lotion. 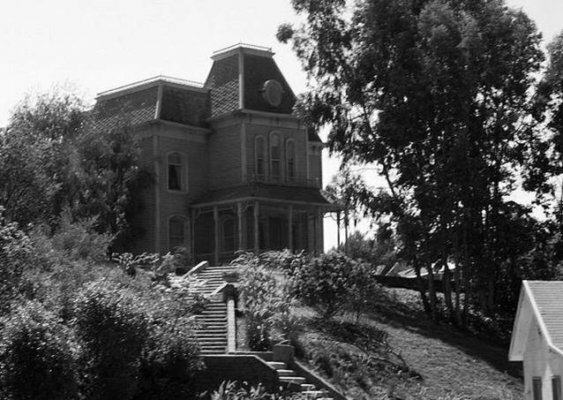 The house in the film, Insidious, was built in 1909 in Victoria Park, Los Angeles. The location scouts for the film searched for a home in Los Angeles they said, “looked like it could be haunted”. However, the house in the film is not haunted or had any reports of ghosts during filming. Psycho is a horror classic directed by Alfred Hitchcock and pushed the boundaries of film in the 1960’s. The iconic Bates Mansion and Motel were actually filmed on the Universal Studios Hollywood backlot since it was built in 1959. The television show, Bates Motel, was a prequel to the events of Psycho and was filmed in Oregon. The Amityville House has been the backdrop to over 15 movies. In 1974, Ronald DeFeo Jr. killed his entire family at 3:15 am and claims he heard voices telling him to do so. He is still serving time in prison, but the movies are based on the family that moved in after those events. George and Kathy Lutz moved into the Amityville home and only lived there for 28 days. George Lutz woke up every morning at 3:15 am and witnessed his wife levitating over the bed. Today, the house is still standing and was purchased by another brave family back in February 2017. 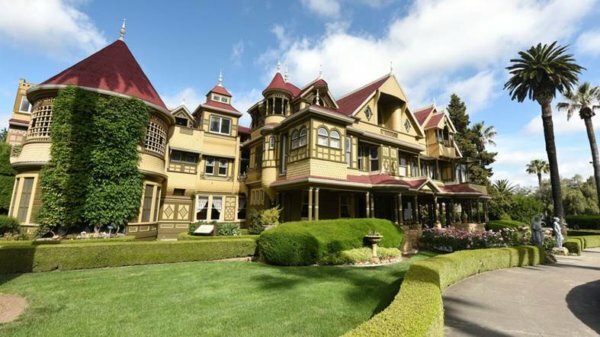 It only recently became a movie, but the Winchester home has been standing for over 100 years. Construction ran from 1886 to 1922, when Sarah Winchester died. The house has doors and staircases that lead to nowhere, secret passages, and trap doors. It’s rumored that Sara Winchester believed that she was being haunted by the ghosts of the people killed by Winchester rifles and that’s why she turned the 6 bedroom ranch into a labyrinth. 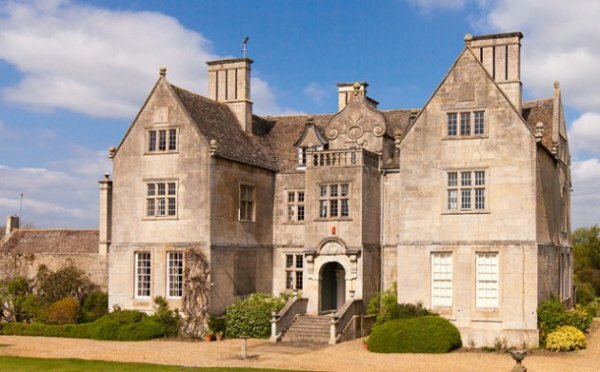 Cotterstock Hall in Northamptonshire, England was transformed into the Eel Marsh House in the Woman in Black. The manor was under construction for two years and was completed in 1658, but is not reported to have any hauntings or supernatural occurrences. Hollywood draped the home in fake ivy, incredible amounts of fake cobwebs, and darkened its windows to make it our spookiest house on the list.